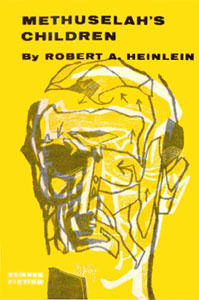 In chapter 7 of The Smart Kid, the novel Methuselah’s Children by Robert A. Heinlein is mentioned. But, also, it is written by my favorite sci-fi author. I read almost everything by Heinlein.